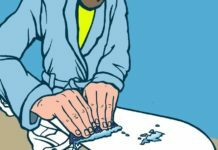 Home Rock Climbing How to Start Rock Climbing: What do You Need to Get Started? 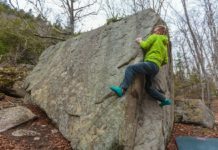 How to Start Rock Climbing: What do You Need to Get Started? 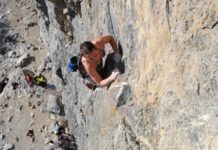 If you’ve seen those little black dots, perched on the sides of sheer cliff faces, or those perfect ripped bodies hanging from tiny bumps in sunny Southwestern parks, you may have assumed that rock climbing is not for you. Or that you can’t wait to try it! Either way, you need to start the same way: learning the basics about equipment, safety, and moving over rock. And if you live in an urban area, a rock-climbing gym is probably just a short drive away. Fitness: Anyone who can fit in a harness can top-rope. 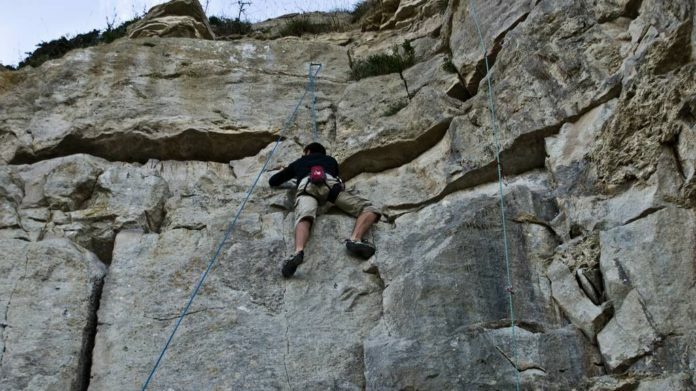 Being in great shape may help you learn faster, but climbing is primarily a sport of balance and coordination, and doing a little rock climbing can be a great way to motivate yourself to stick with an aerobic fitness or weightlifting program. Instruction: Personal instruction is required for rock climbing. 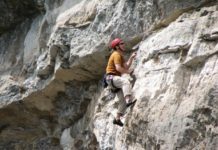 Although formal certifications are not given, the equipment and environment for rock climbing pose risks, and it’s important to have a knowledgeable person show you the equipment and teach you to use it properly. The good news is that basic safety rules can learned very rapidly, and are taught for free at most climbing gyms. Equipment: If you just want to climb at the local gym every once in awhile, you don’t have to buy anything. Gyms rent shoes and harnesses, and often provide belay devices and locking carabiners for free. If you wish to climb in the gym regularly, you’ll probably want to buy a pair of shoes, a harness, and a belay device with locking carabiner, which will run a total of about $150 to $300, depending on the quality and style of equipment you choose. 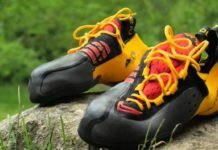 Climbing shoes: These come in many styles, from “board-lasted” beginner-oriented shoes (with a stiffer sole), to flexible all-style shoes, to shoes with ankle protection for outdoor or crack climbing, to intensely shaped shoes (think ballet toe shoes!) 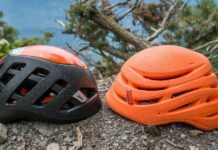 for very aggressive “sport climbers” — those gravity-defying climbers on the hardest routes. They all have a sole and wrap of smooth sticky rubber, which makes it easy to “stick” to the rock. You want a pair of shoes that you can lace tightly enough that your foot doesn’t move inside the shoe but that don’t hurt you or cut off your circulation. There’ll be plenty of time to experiment with pain if you decide you want to win the X Games. 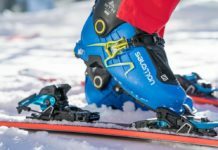 Check here how to choose the best climbing shoes. 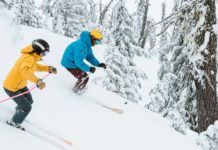 Harness: Harnesses come in many styles, too, from simple twists of webbing with buckles to heavy, padded harnesses with solid loops for hanging gear, to whisper-light sport harnesses. You probably want a happy medium: a fairly light, nonpadded harness with a couple of loops for hanging a few pieces of gear (like your belay device and locking carabiner). Make sure you have a good fit, and make sure you hang in it before you buy. Stores that sell harnesses have places where you can hang to test the comfort of the harness. Some nice features: an easy “double-back buckle” system (the easier it is to tighten your waist belt properly, the safer you’ll be), adjustable — or even removable — leg loops (particularly for women, who may need the adjustment for fit — and the removal for going to the bathroom without taking off the waist belt). Belay devices: There are many kinds of belay devices, and the right one depends in part on the kind of climbing. For top-rope climbing (where the rope goes through an anchor at the top of the climb), any belay device is fine: a figure-8, an ATC, a Grigri…. Gyms will usually use one type of device preferentially, and may even attach devices to every rope, rather than requiring climbers to carry their own. Ask your instructor about the different belay devices, and then decide which you’re more comfortable with. 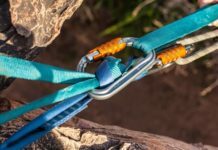 Locking carabiners: A locking carabiner is used to connect a belay device to your harness. If you’re buying, look for a nice big one, to make it easy to attach and adjust on your harness. The larger ones often have an “asymmetrical D” pattern. Also consider whether you want an “autolocking” carabiner, which has a spring device that locks it when it closes, or a device that locks by being screwed shut. Both are safe, and your climbing instructor will be able to help you understand how to choose one over another. So you’re at the gym, you’ve got the gear, you got some lessons, and you’re ready to start climbing. 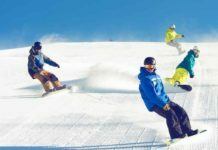 You may have gotten some basic technique instruction with your safety lesson, and the gym probably has a technique introduction available. Take advantage of it. With a few simple tips, your foray into climbing will be more comfortable — and much more satisfying. The short version? Concentrate on your footwork and use your legs to push you up the route. Use your arms for balance; don’t try to pull yourself up the wall — you’ll just get tired. Trust your weight on your shoes — your weight plus the sticky rubber of the shoes will let you stick like glue. Experiment, and above all, trust. You can do this. You don’t have to be Chris Sharma — or even know who he is — to have a great time rock climbing. You just need some balance, coordination, and a little concentration. And most important, have a good time.